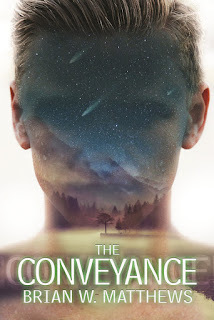 Brian W. Matthews’s latest book is The Conveyance, a horror/science fiction novel about a child therapist who uncovers a secret long kept hidden form the world. Together with his friend, police detective Frank Swinicki, he doggedly follows a trail of murder and madness, eventually exposing a sinister conspiracy that threatens the existence of the human race. The Conveyance can be purchased directly from the publisher at www.journalstone.com or from Amazon. For the money and the babes! Lots of babes! No, really, people become authors because writing is in their blood—it’s what they want to do and, in many cases, what they have to do. I have characters in my head speaking to me, each clamoring for attention, each wanting his or her story told. Writing gives these special people a way to live, to love, and on occasion, to die. Until I put them on the page, they’re nothing more than annoyingly verbose thoughts in my head. Being an author is both wonderful and terrible. It’s wonderful because you’re giving voice to characters, you’re creating whole worlds, and (most importantly) you’re entertaining others. Nothing compares to the happiness I feel when someone tells me how much he enjoyed one of my books. The downside is that writing is an extremely difficult and lonely profession. I sit for hours alone at my computer, which takes time away from my wife and children. I agonize over getting each sentence to be as short and succinct as possible. I end up putting myself out there for criticism. Those are the times when writing is not all it’s cracked up to be, but I wouldn’t stop—couldn’t stop—as long as I’m still drawing breath. I went the route of traditional publishing. My first novel, Forever Man, found a home at JournalStone, a publisher specializing in horror, fantasy, and science fiction. While opinions vary, I’d recommend a writer try to secure a publisher before going for self-publishing. A publisher will assign your book to an editor. A publisher will pay for the cover art. A publisher will print the book, as well as format it as an e-book. These processes consume a lot of time and money, and if you self-publish, you’ll have to do it yourself. But regardless of which route you go, be prepared to be your own marketer. Unless you’re a big name author, a publisher isn’t going to put much money into marketing your work. Climb into the trenches of social media and the Internet and generate as much chatter about your work as possible. For one, my daughter and step-daughters are all in college, so the time I spend away from them isn’t really noticed; heck, for all I know, that particular gaggle of new adults relishes the time I spend in my office writing and not bugging them to do their chores. My wife, though, is a gem. She is so supportive, so caring, that she doesn’t begrudge the time required to write, polish, and publish a book. She’s actually my main cheerleader, shouting to everyone who will hear each time a book is released. Her only gripe? I haven’t dedicated a book to her yet. To that I say—soon, honey. Soon. Gigi the Savage Kitty gets her food on time. Every time. If you’ve ever owned a cat, you know what I’m talking about. Are your plants actually still alive? I regularly kill indoor plants, which is why I’ve switched to outdoor plants. That way, if they die because I’m too busy writing to remember to water them, I can blame Mother Nature. She should have peed on them more often. I have dedicated times for writing, which are interrupted with regularity. I’ve accepted this reality. Life happens, and you have to attend to it. That’s why I have a daily word count goal and not a time goal for my writing. If I don’t get my words completed during my scheduled hours, I simply tell the family that I need an hour or two to finish my count. They’re pretty chill with this. The craziest thing is that my first novel was picked up by the first publisher I sent it to. I had heard so much about authors getting multiple rejections on books that I fully expected to be hunting for years for a home for Forever Man. But within weeks of submitting the manuscript, I had a contract. It was completely crazy. Social networks can be wonderful…if people treated one another with respect or stopped trumpeting their own agendas at everyone. For an author, Facebook is pretty much a “need to have” site, and I’ve had some great experiences with fans on my Facebook page. (https://www.facebook.com/ForeverManStories/) I’m not much of a Twitter fan; you’re limited on characters and it seems very superficial to me. I only tweet because it’s part of an author’s marketing. I’ve recently started on Instagram, and I’m having more fun with that format. There is so much competition for attention when it comes to readers. Thousands of books are published each year, either self-published or through a traditional publisher, and a reader needs to cut through so much chaff to get to the wheat. What I writer needs to do is try to stand out. Marketing is the key. Interviews like this help a lot. So does a social media presence. But nothing will benefit a writer more than a well-written, compelling book. No amount of marketing will sell a novel that isn’t the best it can be. Other than if my hair’s on fire? It’s the fact that there are so many excellent authors out there and not just the biggest names in the most popular genres. If you’re a reader of a particular genre—horror, fantasy, romance, whatever—look outside the top-seller lists. 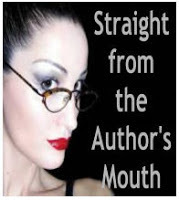 Find an author, one whose work has been well reviewed, and read his or her book. Then write a review or tell someone about it…or jump on the rooftop and scream about it. As I noted in the previous question, new writers need to stand out from the masses; they need to get a reader’s attention. Reviews and recommendations can make or break a career. Help an author eat: write a review. I smile each time someone tells me, “I read your book. 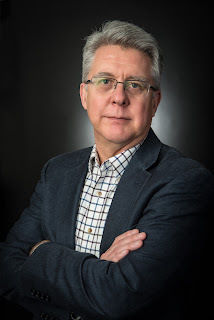 It was great!” To know that I birthed a work of fiction that entertained another person, that I brought the person into a new world with new experiences and (hopefully) new understandings, is the best thing about being a published author. So much sweat is put into creating a novel. That it brought pleasure to another person is pretty cool.